After the death of Brooklyn rapper Sean Price last year, Meres One, creator of the Queens street art mecca 5Pointz, painted a mural in Crown Heights as a tribute. After Jessie Hernandez was killed by two Denver police officers in January 2015, the street artist who goes by Lmnopi painted a memorial mural. When Lmnopi went back to the Brooklyn Brewery wall in Williamsburg where she painted Hernandez less than two years before, the only part of the mural left was the mouth. Street artists like Lmnopi who pay homage to someone through their work do so knowing that the physical mural will inevitably disappear. “There’s an important aspect of street art that’s obvious. Artists want their work to be seen. If a tree falls in the forest, does it really fall if no one hears it? It’s the same thing,” says Yoav Litvin, author of Outdoor Gallery: New York City and 2Create: Art Collaborations in New York City. If the aim of street art is to provoke the passerby to notice the artist’s work and walk away with recognition of the content, what happens once the mural is gone and can no longer be seen? Paintings in museums are preserved. Art on the streets will fade naturally unless, of course, it is painted over or bulldozed. For Lmnopi, this ephemeral quality isn’t necessarily bad. Last year she put up a wheatpaste mural, the largest one she has done to date, at the Welling Court Mural Project in Astoria, Queens. Still, when the mouth became the only part left of the Hernandez mural, the process of decay lacked symbolism. The question remains as to how memorial murals can continue to honor the fallen if they too can perish. 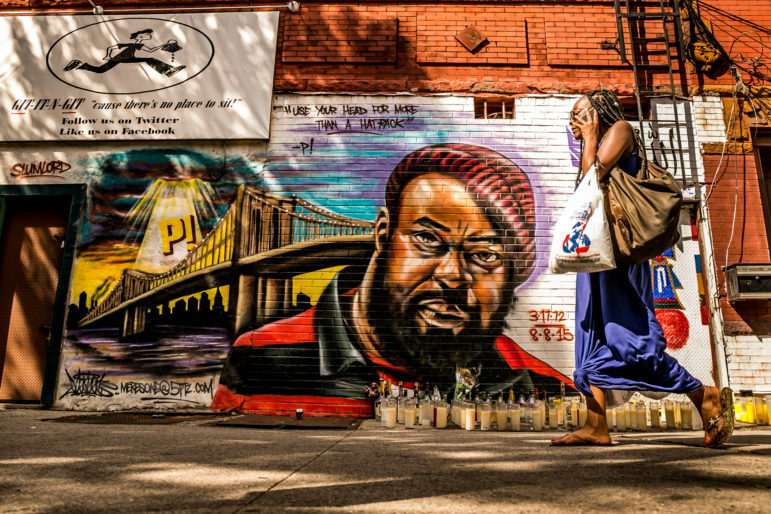 After the death of Brooklyn rapper Sean Price last year, Meres One, creator of the Queens street art mecca 5Pointz, painted a mural in Crown Heights, Brooklyn as a tribute to Price. Marie Flageul, Meres One’s partner, says that she saw somewhere between 200 and 300 people show up to watch him paint Price. How did this large crowd form on a street in Crown Heights that generally has little foot traffic? Social media was the culprit. While Meres One was painting, Price’s family had posted a picture on Instagram. Lmnopi notes that social media and photography are especially important for her activist-oriented work. For example, she created a mural in support of the #BoycottDriscolls campaign to raise wages for berry farmworkers. “The hashtag is a key element. hit that and you’ll get an education about exactly why we should be boycotting,” Lmnopi says. An online blog called Brooklyn Street Art and their social media presence also led Hernandez’s family to find Lmnopi’s memorial mural. “Several times now, Brooklyn Street Art has connected me with the parents of kids I have painted by posting photos of my work on their blog and social media. Both times were pretty magical,” she says. Werc Alvarez grew up in El Paso, Texas and started doing graffiti in 1992 after becoming friends with other graffiti writers. Today Alvarez works in New York City doing a combination of unsolicited and solicited street art. “When you’re doing a large mural, it requires a large investment of time and supplies. I’m very blessed that I get solicited and that people believe in what I’m doing,” he says. Pop art would not include Lmnopi’s mural of Hernandez or the one to boycott Driscoll’s or the painting of the child laborer in Nepal. The next mural project for Lmnopi is part of the Journalism is Not a Crime campaign whose aim is to draw attention to human rights struggles in Iran, certainly not something that a business would typically want on the side of their building. Lois Stavsky says that developers have been looking for street artists to help them increase property values over the last two or three years. Stavsky used to be a high school teacher in New York City, but now she spends much of her time documenting street art for her blog, Street Art NYC. “By going where nobody would go and painting and getting walls easier because it’s an industrial neighborhood or low-income neighborhood, you are increasing the value of the square footage,” Flageul says. In other words, the soliciting of street art by developers and businesses might facilitate more art on the walls of New York City, but the content is changing, becoming less activist-oriented. Furthermore, as neighborhoods gentrify, some street art gets destroyed in the process, as was the case with the whitewash of 5Pointz. No matter the medium, to express oneself in the public eye is a bold move. Putting art up on the streets of New York City seems to be an especially vulnerable act. A street artist doing work legally completes murals where anyone can watch them throughout the process. Individuals who put up street art illegally face the risk of being arrested or fined if they’re caught and thus are similarly gutsy but for the opposite reason. “With people who are making art on the street, there’s a self-awareness built in,” Rachel Alban says. Alban started photographing graffiti in the 1990s after a friend told her, “I’m going to go bombing and I want you to take pictures of it.” Bombing is a term for painting graffiti on several walls or subway cars in an area. She shares tidbits of information about various street artists as we walk past their work at New York University’s Kimmel Galleries. Unlike Lmnopi’s mural of Jessie Hernandez, glass windows protect the art at this academic gallery. After all, the premise of this particular exhibit is to put street art behind 13 windows on one wall. Most street art is not so protected. It is exposed not only to the people passing by, but also the elements. And the threat of immediate erasure looms as well because someone can always give the wall a new paintjob. Street art that has disappeared can be remembered in the photos shared online. Still, memorial murals prove to be as mortal as the lives they commemorate. City Limits wants to preserve memorial murals that have been painted around the five boroughs in a permanent online gallery. Send photos of the murals you see honoring individuals people who have passed away, or people lost in war or terrorist attacks, to editor@citylimits.org. Be sure to include a caption. 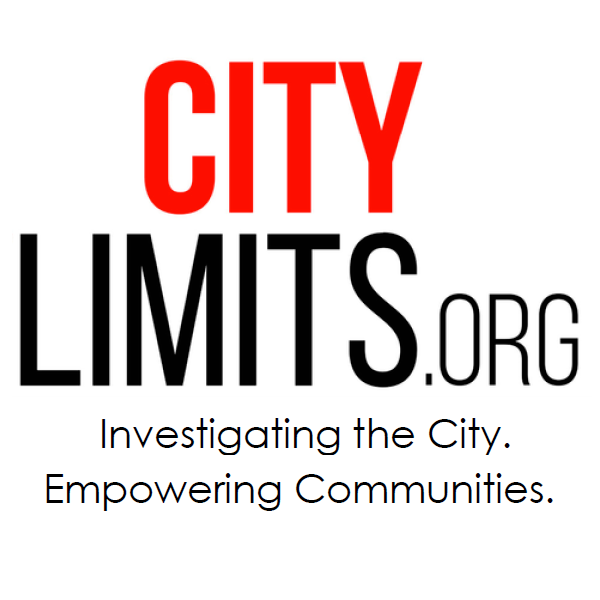 City Limits coverage of the politics and policy of art is supported by the Laurie M. Tisch Illumination Fund. this completely misses the point and couldn’t be more wrong. Jesse Hernandez was murdered by the police in Colorado. The fact that when my tribute to her decayed, the only part left was her mouth is enormously meaningful. The unplanned nature of the erosion makes it all the more profound. This young person was murdered at the age of 16, her voice was taken from her. Her mouth remained. It’s an obvious metaphor that I don’t understand how the author could have overlooked. anyway, thanks for reporting on my work! Well, if that’s the case, why didn’t you just paint a mouth to begin with? I think the author’s point is well taken: These murals aren’t just the expression of an artist’s (apparently evolving) vision, but become part of the community they exist in, which they beautify and enrich. When erased by redevelopment or decayed by neglect, even if those changes are consistent with an artistic message, they do take something from a neighborhood that hosted it. NYCHA has undertaken a comprehensive effort to inventory the art it owns with the aim of making it more visible to residents and the city at large. The hope is to make the value of public housing clearer to all. In a span of three weeks, Kilusan Bautista experienced the fear and rejection of being evicted, living on the street and being denied for new places to live. From that dark place, he created a one-man show exploring the human impact of gentrification and displacement. A video story by Melissa Cooper.